The decision to go to graduate school and earn a master’s degree in public administration (MPA) or a master’s in public policy (MPP) can be a difficult one. It is affected by individual circumstances, length of time from undergraduate completion to start of graduate studies, years of professional experience among other reasons. Heather Kerrigan argues in a 2013 Governing State and Localities article, “Understanding the Value of the MPA and MPP Degree,” argues that the knowledge you gain at each job you hold is invaluable. MPA and MPP programs help you take a step back and see the bigger picture, a big plus for out-of-the-box thinking. 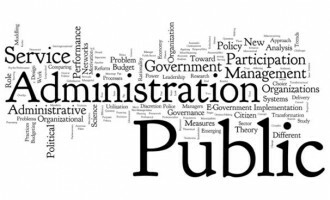 Public administration course work typically covers traditional management topics common in government and nonprofit organizations like budgeting, policy analysis, organizational leadership. Earning an advanced degree in public administration can lead to a career in myriad fields at the federal, state or local level as well as nonprofit organizations. Now that you have your degree, seek out a leadership position and share your knowledge and experiences with your co-workers. Your advanced degree allows application of both a practical and pragmatic approach to issues as well as an academic understanding of root issues that can help in identifying better solutions. Incorporating learned skills and tools will allow you to contribute and help lead your organization into the 21st century. Recent graduates of a MPA or MPP program have an opportunity to lead organizations but must confront a still recovering economy, shrinking budgets, workforce reductions, pressures to improve customer services and other challenges associated with working in the public and nonprofit sectors. New professionals should be open to multiple styles of leading and managing employees. Finally, I offer one piece of advice for new professionals: Go to work every day with an open mind and maintain a standard of reasonableness in all that you do for the public good. Author: Jeffrey R Zimmerman recently completed his dissertation titled, “The Impact of Supervisor-Subordinate Exchange on State Government Employees,” at Walden University. Zimmerman currently serves as the director of processing services within the North Carolina Division of Motor Vehicles. Email at [email protected] or [email protected].